Is Al Gore Still Relevant to Young People? How About Rolling Stone? Short answer: Yes, he is. Not only that: So is Rolling Stone. I am always behind on things I want to read, so only recently got to this piece that Al Gore’s published in Rolling Stone during the summer of 2011. In discussing it last week with some college freshman, a group old enough to be voting in next month’s election, I mentioned that Al Gore was a few dimpled chads away from having become President. Not understanding the allusion, they reminded me that Bush v. Gore was decided when they were 6. Very few of them had ever read Rolling Stone, although several had heard of it. An Inconvenient Truth was released when they were 11 or 12 years old — a really long time ago — and a few had gone to see it with their parents. Not a single one had heard of The Sierra Club. But this piece by Al Gore resonated with them. I am re-posting in its entirety because, like them, I think it might be more important than the attention it received when it came out. Not because there is anything new in it. Certainly not new to me. This has all been said by many people, sometimes more eloquently, over and over again. But the themes are ones that meant a lot to them, and some of this was indeed new to them. That climate change is real, that is a serious threat to their future, and that American democracy has so far failed to do much about it. OK, they suspected that. That our collective inaction is no accident. That was mostly new, how there have been initiatives aimed at sowing doubt, discrediting not just climate science, but smearing and harassing respected climate scientists and even science itself. Just like what happened with tobacco and DDT. And that journalism is failing us with its under-reporting and its false balance, raising even more doubt about indisputable facts in America than anywhere in the world. (See this.) The connections among doubting climate science, oil and gas interests, and money in politics is not lost on them, but neither is it something with which they are particularly familiar. They found Gore’s way of describing these connections plausible and hard to believe at the same time. So they plan to look into it more. Climate of Denial: Can Science and the Truth Withstand the Merchants of Poison? If you have not been following Think Progress and missed this surrealistic nugget about emergency readiness and management, Texas GOP style, fasten you seat belt. Tornadoes? No, the worst-case scenario being prepared for by Lubbock County Judge Tom Head is President Obama winning reelection. That, of course, will lead to civil war, especially because Obama is planning to send in U.N. troops to occupy Lubbock, Texas. Luckily, Judge Head proudly has declared that he will be joining the armed resistance against the U.N. takeover of American sovereignty. And the Sheriff is with him. OK, let’s not exaggerate. He’s talkin’ worst case scenario. And that is not a tornado or hurricane, although you might think that emergency management is supposed to focus on natural disasters, it’s those little blue beanies. A favorite of the Koch brothers, Ryan has accused scientists of engaging in conspiracy to “intentionally mislead the public on the issue of climate change.” He has implied that snow invalidates global warming. In short, Paul Ryan stands with Big Oil against scientific fact and the future of human civilization. The record heat wave in the United States is raising a lot of questions about whether this is a preview of our future. It takes extreme weather events to get long term global climate change any attention. Who knows, enough wildfires and droughts and 115 degree temperatures in Kansas might get someone to notice what is happening over the long run. If you have any hope that the recent meteorological catastrophes will have an upside of increasing public awareness of its causes, well, don’t count on it. 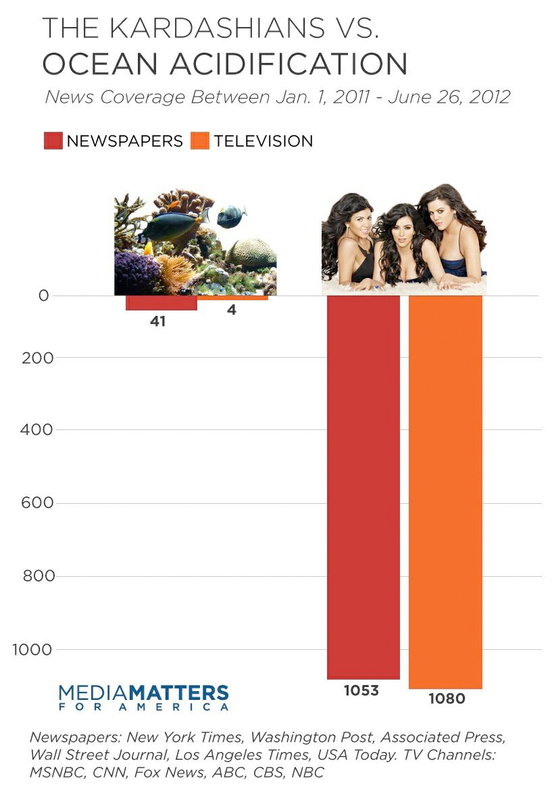 Take a look at the recent study by Media Matters, which shows that the Kardashians still get 40 times more news coverage than global warming’s “evil twin,” ocean acidification. Ha! Am I the only person in America who would not recognize a Kardashian if I bumped into one here in Canandaigua? What exactly are they famous for anyway, other than being famous? I need to get out more. One of the main points in this talk was to explore what we have learned since realizing that “the information deficit model” is false; that is, that people will not think differently about climate change just because they are provided with more information about what is really going on. Recently, a number of writers have drawn a pretty idiotic lesson from this, namely, that it is pointless to learn about what is really going on. 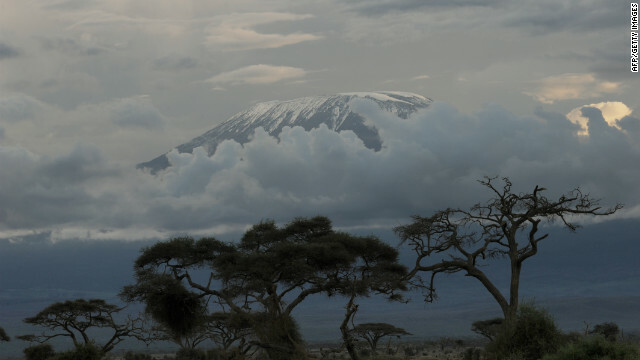 Here is an excellent piece posted the other day by Mark McCaffrey, in which he makes that point as a guest blogger for Climate Access, a site which with I am just becoming familiar. 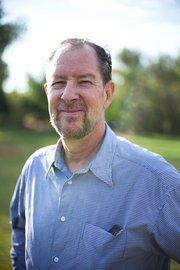 For those of you who do not know Mark McCaffey’s work, he helped establish the Climate Literacy Network and the related Climate Literacy & Energy Awareness Network (CLEAN), which includes a catalog of online resources as well as tips on the challenges/opportunities of teaching about climate and energy. He is now Programs and Policy Director for the National Center for Science Education, a fabulous organization that has for years been fighting the good fight against anti-science forces on two fronts: evolution, and, more recently, climate change. But sometimes the researchers themselves suggest, sometimes intentionally, sometimes overtly, that literacy isn’t important. Too often researchers examining attitudes about climate change and the media reporting on them ignore or gloss over the depth of illiteracy, framing the problem solely or primarily as a cultural, ideological issue. Paul Stern writes in a recent article in Nature Climate Change that “the lack of understanding at the individual level is not the problem,” and “believing that public opinion reflects a knowledge deficit is naïve…” And in the same issue, Paul Bain and colleagues in Australia parse the debate into “deniers” and “believers,” suggesting that deniers can be tricked to support enlightened climate policies by convincing them that mitigation efforts can promote a better society, downplaying climate change risks. “Don’t worry, be happy!” seems to be the take-home message of this approach, which the current U.S. Administration has tried, emphasizing Clean Energy and Green Jobs over risk reduction and preparation. Fewer than 20% of secondary school students are “very well informed” about climate science and solutions, and only 27 percent feel they’ve learned “a lot” about global warming in school, according to the Six Americas research conducted by the Yale Forum on Climate Change and the Media. Most teens (and adults) would receive a D or an F if quizzed on the basics of climate or energy. 28% of U.S. adults pass the muster for basic civic science literacy, says researcher Jonathan Miller, and the bulk of them became literate in college because they were required to take general education science courses to graduate, although they generally needed three years of high school science to be accepted into college to begin with. The Six Americas research has also found that those who are the most concerned about climate change have relatively more knowledge about it, while those who are least concerned know the least. While most people do fail when quizzed on climate and energy basics, graded on a curve, 97% of those alarmed about climate change receive a passing grade, versus 56% of those who are dismissive of current climate science findings. Climate education was, except in the rarified atmosphere of higher education, all but non-existent until 2009 when Congress authorized grants to improve climate literacy and climate change education became a presidential priority. But federal funding is now dwindling, even as attempts to defund it altogether are promoted by members of Congress who dismiss climate change as a hoax. Fifty years ago, climate change was part of science education materials. During the International Geophysical Year in 1958, the National Academies published science education materials for students — Planet Earth: The Mystery with 100,000 Clues — that acknowledged human carbon dioxide emissions from burning fossil fuels could, through the increased warming of the atmosphere, melt ice sheets and raise sea levels. Educational films and television programs at the time, including the Bell Science Hour, examined the potential impact of human activities on the natural greenhouse effect. Then, for fifty years, the topic was usually missing altogether from science education materials. When it appeared at all, it was in passing, perhaps one or part of a chapter out of thirty in a textbook, a few days out of an entire semester. When National Science Education Standards were developed in the mid-1990s, human impacts on the climate system were deliberately not included (as was the topic of human evolution), kicking the can down the road with the claim that there wasn’t sufficient data to say for certain. Sadly, this — along with deliberate efforts to mislead and muddy the waters with manufactured doubt — perpetuated the climate literacy deficit and contributed to our inability to have an adult conversation about climate change over the past decade and a half. Today, when climate and related energy topics are taught at all, all too often they are taught as controversy, with “both sides” being presented due to pressure or misguided sense of fairness and balance. Climate change is happening. Or it’s not. Humans are responsible. Or they’re not. Decarbonizing our energy system will help. Or it will destroy the American way of unfettered free-market capitalism. But usually, climate change is missing in action from science education, falling through curricular cracks or held hostage by the polarized political climate. Even science-literate students graduating from college may not have ever learned the basics of climate change or society’s fossil-fuel-intensive energy infrastructure and its role in altering the climate system. Some incremental progress has been made in the fast few years, progress that is now in jeopardy. In 2009, in an effort to establish a foundational framework to improve climate literacy, a group of us created the Climate Literacy initiative (and this year a companion Energy Literacy framework), which the Department of Energy led the development of, was released. Both are available through the US Global Change Research Program. Congressional support in 2009, largely from stimulus funds, led to dozens of climate change education projects, such as the Climate Literacy & Energy Awareness Network, and related curriculum development, teacher professional training programs, and strategic partnerships between climate researchers, educators and cognitive science experts. Now, with federal funding for climate and energy literacy spent out or threatened by Congress, private philanthropies that support climate policy and communications work need to step up to fill the breach and help improve society’s basic literacy about the crucial 21st century challenges of energy and climate/global change. Yes, we have an enormous collective climate literacy deficit, and addressing it is an integral and imperative communication and policy priority for the sake of this and future generations. Hat Tip: Leo Hickman. who points out this plays as if it is a female avatar for the Skeptical Science team (one of my favorite sites).